Learn how to quantify your medical decision-making and select the "correct" level of care for E/M services provided in the emergency department. Then see exactly what's needed to ensure compliance and streamline the documentation process. This program takes you step-by-step through all levels of care for ER E/M services. There are two versions of this course: one using the 1997 E/M guidelines and one using the 1995 E/M guidelines. 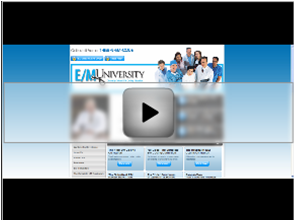 This course teaches you everything you need to know about using the observation care codes. Learn who should be admitted under observation status as opposed to inpatient status and what documentation is required. You will also see what is needed for observation and discharge codes and how to bill for the newly added subsequent observation care codes. There are two versions of this course: one using the 1997 E/M guidelines and one using the 1995 E/M guidelines.